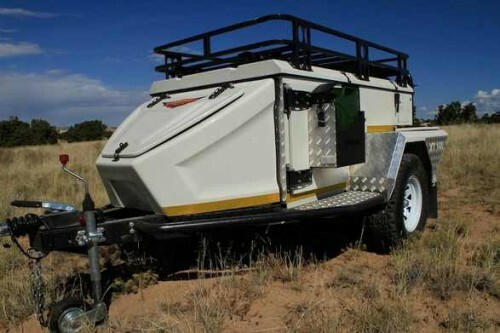 I have a South African built Jurgens XT-140 Trailer available for delivery by Christmas. The XT-140 is a true off-road cargo trailer with rugged aerodynamic styling, ideal for hunters, fishermen, overlanders, and outdoor explorers. 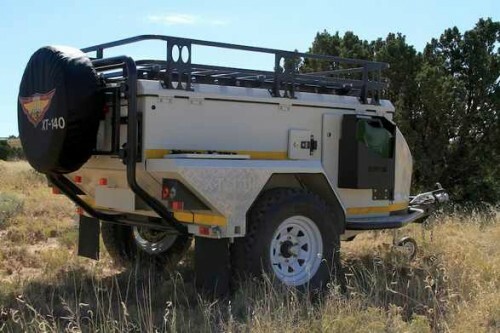 Standard features include super-durable rubber tor-flex axle, electric brakes, two Jerry cans and holders, roof rack, spare wheel and full-sized tire. Also included are front- and rear rock-sliders, removable jockey wheel, stow-away table bracket, and two large side hatch doors. 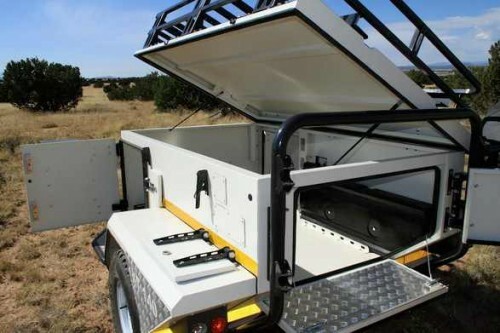 Front tongue box, 20 gallon built-in water tanks, fridge slide, full body E-coating also come as standard. Optional extras are also available such as inverter/chargers for 110V AC or 12V DC supply and charging. Additionally a 12V water pump and sprayer can be added. The XT-140 currently has a Howling Moon Trailer Tent installed, as seen in the second photo. This can be included with the XT-140 at additional cost, or I can remove it.